GigSalad.com, an online entertainment booking agency and talent directory, sees large number of requests for Santa Impersonators this holiday season. I’d say we are back to “pre” recession numbers for Santas. I’m not sure if it’s because more private citizens are hiring Santas to visit their homes or what it is, but Santas are being booked more than ever. Despite a slow U.S. economy and many American’s slicing their budgets this Christmas, it has been business-as-usual for Santa impersonators around the country. According to GigSalad.com, an online entertainment booking agency and talent directory, jolly ol’ Saint Nick has remained in high-demand for everything from private parties and corporate events to shopping malls, department stores and local parades. “I’d say we are back to “pre” recession numbers for Santas, said Mark Steiner, co-owner of Gig Salad. “I’m not sure if it’s because more private citizens are hiring Santas to visit their homes or what it is, but Santas are being booked more than ever. It’s good for our business. 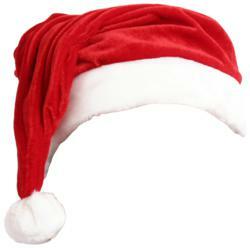 There is a buzz out there with the Santas, that they need to be listed on our site. Just this morning I took a call from an African-American Santa, just thanking me for what we do. For many who may be needing some extra holiday cheer as the U.S. economy strives to recover, hiring a Santa impersonator is not only a cost-effective entertainment option, it provides employment opportunities for many merry, rosy-cheeked, white-bearded men across the country in need of extra work. Nickles, who is a member of the Fraternal Order of Real Bearded Santas and has actually attended “Santa School,” is just one of the estimated 20,000 professional Santas nationwide. Santa impersonators from around the U.S. sign-up on websites like Gig Salad in hopes they’ll be chosen by party and event organizers browsing the website for entertainment for their upcoming events. GigSalad.com offers over 350 professional Santas to its visitors. Site visitors search for Santas by location, choose their favorite based on photos, videos, and customer-submitted reviews, and then contact them directly, with no middle-man or fees.